Sequels to beloved video games are often great. Making them easy for newbies to get into makes them even better. The company scores another sales jackpot. The familiar survival mode will be available for free on April 1. No, this is not an April Fools's Day joke. It's well behind Monster Hunter: World, but ahead of this year's Resident Evil 2. They're a neat little reward for dedicated players, but whatever you do, don't spend money on them. 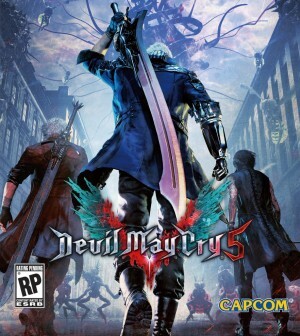 If you've been keeping up with the Devil May Cry games, then you will know all the major players in Devil May Cry 5, but there are at least three characters from the manga and anime that are referenced in the latest entry. The option to see the development versions of cutscenes in lieu of the real ones is strange and hilarious, but oddly perfect for Devil May Cry. The live action cutscenes involve cosplay, action figures, and lots of cardboard. If you want to hear the song featured in the most recent trailer, we've got your back.